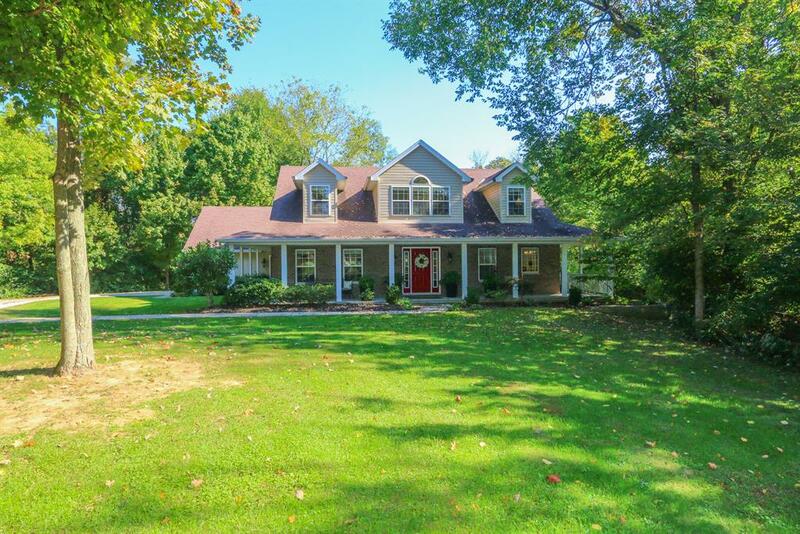 Wooded setting on 3 private acres. This custom built 4 bdrm 2 story home features 1st floor master bdrm w/adj bath & whirlpool tub & separate shower. Luxury hardwood thru-out, lg eat-in kitchen w/breakfast rm, lg great rm w/all stone wood fireplace, formal DR. Screened porch, 2 car garage, unfinished daylight basement.